Ever wonder why they picked New Zealand to film the Lord of the Rings? Pretty place, for sure, with lots of mountains and forests, sweeping panoramas and majestic vistas. Handy too that it’s home to a race of genetically-gifted warriors who are already halfway to being uruk-hai, with the deficit made up by steroids, barbells and a bad attitude. The wimpy orcs were, of course, just metrosexual college kids wearing a little more make-up than usual. But those are not the real reason. The real reason is that New Zealanders are hobbits-of-the-mind. It’s like Tolkien was channeling an entire peoples from his digs at Pembroke College, Oxford. Part of the charm of Hobbiton was its insularity, the false security of feeling removed and thus from the world. All alone out there in the South Pacific, from a Euro-centric perspective, NZ was the last place on Earth to be discovered (shut up you pedants, blah-blah Antarctica, blah-blah Surtsey Island), so little wonder its inhabitants are perhaps also the last place on earth where a Nigerian Mail Scam might still work. Witness the poor witless New Zealander who fell in e-love with ‘Christopher Williams’ (aka Akintunde Vincent Abiodun) whose honeyed tongue persuaded her to wire him $A243,000 on the back of a supposed $18M inheritance he pinky-promised to use to travel across the world in order to requite his unrequited love for her. Oops! All gone, boo-hoo. 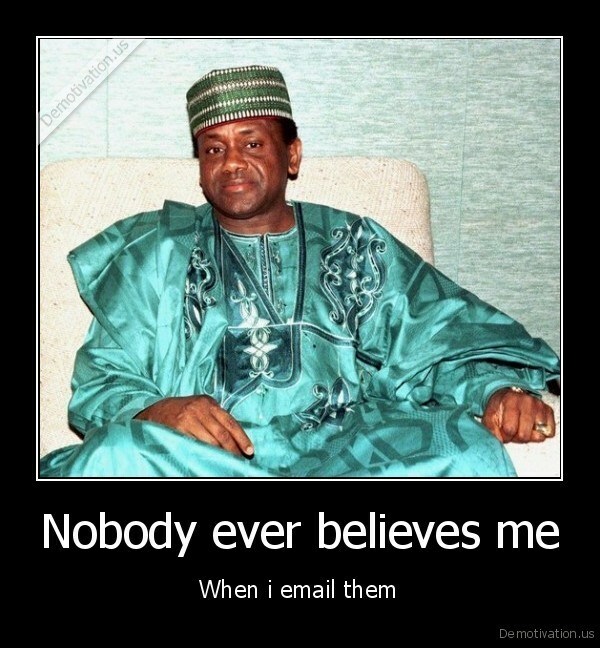 In a 2014 article for Mother Jones, journalist Erika Eichelberger stumbled across some scammers in Nigeria, and reports these rorts nett over $US55M in 2012 alone. All of it from international women of calibre who, as the scammer gleefully explains, “maybe doesn’t have a husband, and the person is looking for a husband in Nigeria, or maybe…you need a black man.” And there you have it. The oldest explanation in the book. Even a country filled with the mighty uruk-hai couldn’t satisfy this woman. Azog the Defiler himself could grab her by the hair and roar “kith deznush sunduga!” (come on you Tolkien nerds, work it out) all he likes, but no, this lady’s looking offshore for her loving. 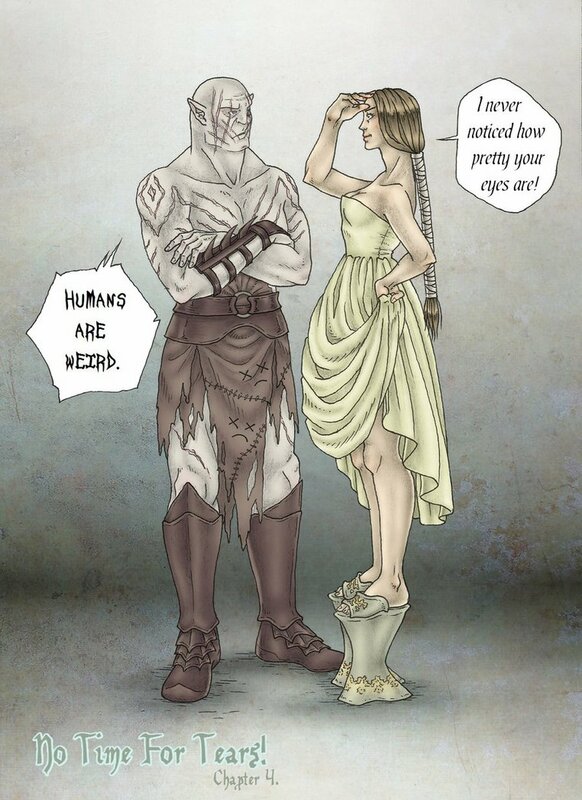 But of course uruk-hai are not made in the typical birds-n-bees way, they are made in membraneous pits. I am not even sure they have the wherewithal, being dedicated death dealing machines, for a romantic stroll along the beach with their beloved, composing sonnets with the tip of an enemy’s dismembered finger, offering up a bouquet of roses tinged pink with the blood of the vanquished. No, he’d just sling her over his shoulder and ravage her back at his lair, and then eat her. So maybe it was worth spending a quarter-million NZ dollars (what’s that in $AU anyway, like, a buck fifty?) to escape the vorpal tug of lovelessness in the last, lost place on Earth? Maybe the fantasy of greeting some handsome Nigerian prince as he steps onto the tarmac at Auckland was worth the money? I’m thinking a copy of ‘Roots’ by Alex Haley, and a few rose petals in the bathtub might have sufficed. Keep your money, ladies. Buy good book.